Dr. John Beach joined the MissionVet emergency team after practicing veterinary medicine throughout North Texas for 30 years. 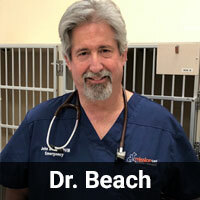 Dr. Beach has served in many different capacities — Medical Director, Practice Owner, and associate veterinarian. Outside of work, Dr. Beach enjoys cooking, art, travel, and fishing. He has always loved the hill country and is excited to spend his free time exploring it and the city alongside his Australian Shepherd, Bristol. 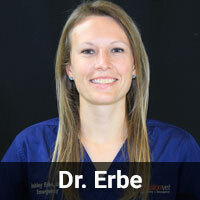 Dr. Ashley Erbe completed both her undergraduate and veterinary curriculum at the University of Missouri-Columbia. Following graduation she completed a one year small animal rotating internship at the Matthew J. Ryan Veterinary Teaching Hospital at the University of Pennsylvania. 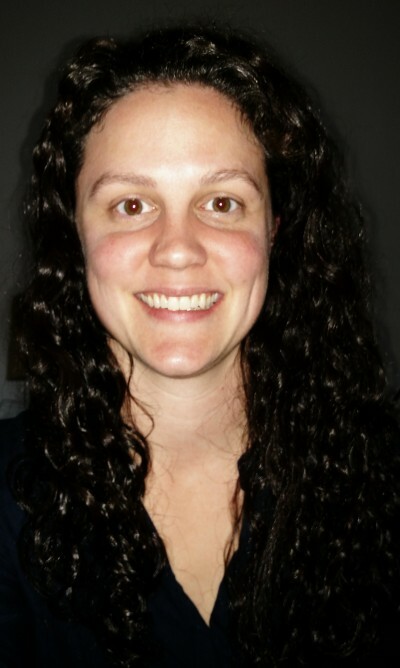 She has spent the last three years practicing emergency medicine at a private specialty hospital in New England. She is married to MissionVet surgeon, Dr. Ryan Birks, and in her free time, enjoys hiking, swimming, climbing, and spending time with family and friends. Dr. Hannah Fore chose to become a veterinarian because it combined her love of animals with her interest in medical diagnostics. With a passion for emergency and critical care medicine, she enjoys working in the intensive care unit. 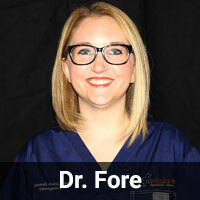 Dr. Fore is particularly interested in wound management, toxicities, and urethral obstructions. One of Dr. Fore’s favorite pastimes is attending St. Louis Cardinals baseball games with her husband. In addition to kickboxing and going to the movies, she enjoys spending time with her dogs, Lexi and Ozzie. Dr. Anna Ledoux is a native Texan. She graduated from Texas A&M in 2006 with a bachelors in Biomedical Science and in 2011 with a DVM. She has been in emergency medicine since graduation and lives in Austin with her three cats, retired racing greyhound, three legged dachshund, and a recently adopted greyhound puppy. 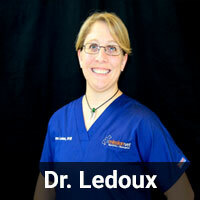 In her free time, Dr. Ledoux enjoys CrossFit, running, and spending time with her church family. 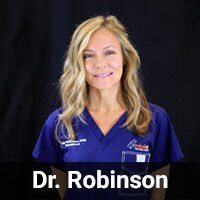 Dr. Amy Robinson joined MissionVet when she and her family returned to the states after living abroad (her husband is in the military) for four years. She received her DVM from LSU and has worked emergency medicine all over the country – Louisiana, Colorado, Idaho and now Texas! She has special interest in toxicology and trauma. In her free time, she enjoys marathon running, IPO training GSD, spending time with her husband and 4 kids and traveling the world. Dr. Zack Wells is from Prattville, AL. He obtained a bachelor’s degree in Animal Science from Auburn University and attended the Auburn University College of Veterinary Medicine for his DVM training. He completed a rotating internship at Carolina Veterinary Specialists in Charlotte, NC, followed by a one-year surgical internship at MissionVet Specialty & Emergency. He is currently a full-time emergency doctor at MissionVet. 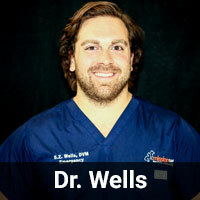 Dr. Wells is very interested in surgery, anesthesia/pain management, and emergency medicine. He enjoys hiking and being outdoors with his sweet pup, Swagger. MissionVet is open 24/7, 365 days a year; rain or shine. Our doors never close and you can always count on us to be available for your pet’s needs at all times! The ER consultation fee is no more expensive than consultation fees of other departments within MissionVet. Fees associated with a given category are equal across all departments (e.g. hospitalization, medications, and diagnostics). When you arrive you will be directed to speak with one of our emergency technicians. They will first ask you a few questions about your pet and will later bring him/her to the back for our doctors to perform a physical exam. When the ER is busy, your pet will be seen on the basis of need. A triage technician and ER doctor will make an initial assessment of your pet’s needs within minutes of your arrival. Pets that are experiencing emergencies and need immediate attention will take priority. If all of our current patients are equally stable, they are seen in order of arrival. If other pets are being seen before yours, this is good news as it means your pet is not as sick as some of our other patients. Our excellent and experienced emergency doctors or critical care specialist will personally perform a physical exam on your pet. They will also be sure to come out and speak with you afterwards with an initial diagnosis. We have veterinarians and technicians available in the hospital 24/7, 365 days a year. Your pets are always being looked after and cared for while they are in our care. Our patients are walked regularly. We have areas surrounding the hospital that allow for seamless transition from inside care to bathroom breaks and appropriate exercise outside. Typically, our patients on IV fluids are walked at least every 4-6 hours. WILL MY FAMILY VETERINARIAN BE KEPT UPDATED ON MY PET’S CARE? Your veterinarian receives regular updates from our emergency/critical care doctors during hospitalization. Our goal is to work closely with your veterinarian to ensure seamless care for your pets while they are at MissionVet. Your primary veterinarian will receive the details regarding our physical exam, any diagnostic tests performed with the results, and the recommended treatment plan. Here at MissionVet, we understand that medical costs can be extremely difficult, especially when they are unexpected. Should you choose to do so, you may apply for CareCredit or Wells Fargo. This is a healthcare credit card designed for payment of your veterinary needs. It is a way to pay for the costs of treatments and procedures in manageable monthly increments. Please talk to your doctor or a member of our client services team at reception to learn more.